Questions about mission trips? We have answers! Click to find out more about mission trips! 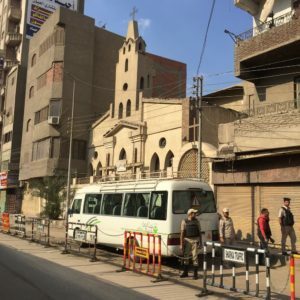 Tim Norton and Matthew Hornaday recently traveled to Egypt, along with the Outreach Foundation to learn more about a possible sister-church relationship with an Evangelical Presbyterian Church in Zagazig, Egypt. Thank you to everyone who has voiced their eagerness to hear about our recent trip to Egypt and the possibility of a sister-church relationship with Zagazig Presbyterian Church in the delta region of Egypt. Matthew, Katherine, Kendra, Rick, Michael, and I (The Egypt Discernment Team) have recently met to continue debriefing the trip. Our main focus right now is synthesizing all that we learned and experienced on the trip into a succinct presentation that will frame the potential partnership and guide our discernment. Our plan is to offer this initial presentation to the staff, session, and congregation in the coming months. Stay tuned for the details. 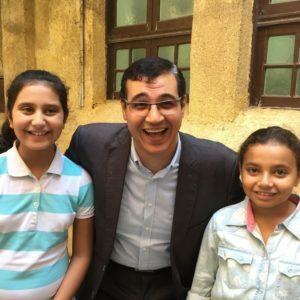 In the meantime, The Outreach Foundation has created a helpful summary of the trip for all of the churches considering a partnership in Egypt. Please read the Outreach Foundation summary crafted by Marilyn Borst, our trip leader (click on link below). We look forward to sharing all that God is doing in Egypt! Follow the journey by following our Egypt Trip Blog and pray daily for the trip using our Prayer Guide. Prayer guides are available, click on the button below or pick one up at Welcome Desks. In 2019, women are invited to spend the week helping local women in Cielo working in the Mission Emanuel women’s co-op to bring income to families in need and create sustainable ways of work and life. Our summer trip in 2019 will be a family trip and we invite you to join us to work on multiple projects with Mission Emanuel. Sign Up To go To DR! First Presbyterian Church supports missionaries around the world financially, with prayer, and by sending teams. Click to find out more about who we support and where they serve!